Berlin is an enchanting city with an incredible and turbulent history. Its Western half once an island in a sea behind the iron curtain, Berlin still bears the marks of a once-divided city-they have become an integral part of its personality. Since the reunification, the city has experienced an extraordinary rebirth and developed into a veritable cultural and political melting-pot, making it one of the most diverse and exceptional cities in the world. Full of creative types, and with a bustling international community, Berlin is naturally home to a unique range of interiors which reflect the city’s mix of Eastern and Western influences. 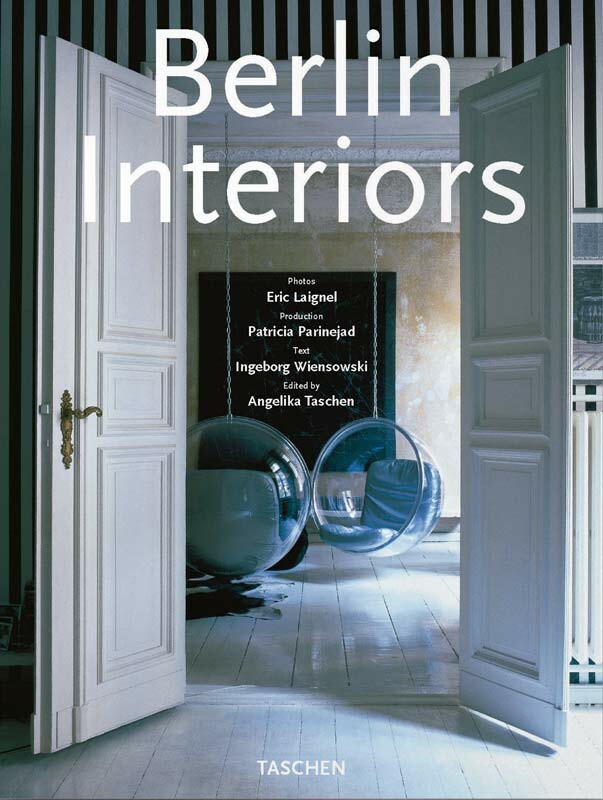 From the home of the Love Parade’s founder to a Turkish cafe, via a garden house, hotel, house boat, bordello, artist’s loft, rabbi’s home, and much more, Berlin Interiors offers an inspiring view of the city and its inhabitants. Ingeborg Wiensowski studied architecture at the Technical University of Braunschweig. Since 1987, she has worked as a freelance journalist for art, kulturSpiegel, and Reporter, as well as magazines such as Vogue and Image. She has also worked on exhibitions, including "American Art in the 20th Century," "Images of Germany," the first "Berlin Biennale," and the "National Gallery Prize for New Art," and organized exhibitions by young artists in Berlin. Forthcoming Interiors titles include Africa and Miami. Angelika Taschen studied art history and German literature in Heidelberg, gaining her doctorate in 1986. Working for TASCHEN since 1987 she has published numerous titles on the themes of architecture, photography, design and contemporary art. 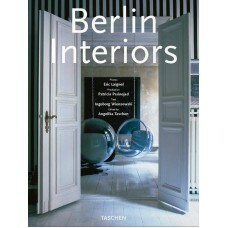 She conceived TASCHEN’s Interiors series in 1994 and the Country Houses series in 1999.